Having the staple pieces in your closet will not only make it that much easier to get ready, but also enjoyable. Here’s why—timeless classic pieces can be worn dressed up or down. The pieces have a way of making your look beautifully put together and effortless. Not to mention that sticking to the staple pieces will give you a jump-start to a killer wardrobe. A sophisticated and classic color combo is camel and black. The color alone screams fall. 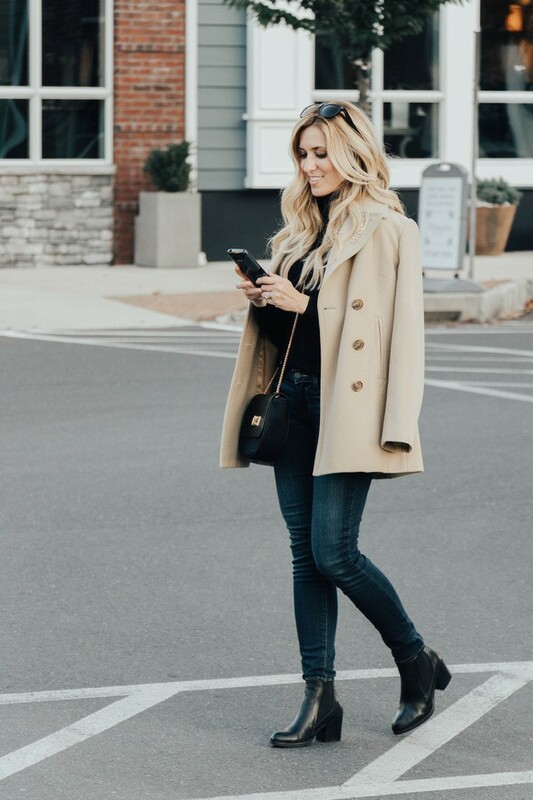 Having a camel coat like this one from Hello Gorgeous Consignment Boutique is the absolute number one essential to have. One of the finishing touches to any outfit is a structured bag with clean lines. It gives off an expensive and elegant look. Structured bags are a lot classier than slouchy hobo bags. Because of the clean lines, and opting for a black or tan bag, will only help with your polished look. Dark washed or black (better yet, get both!). You will wear these on repeat through fall and winter. Find a pair of skinny jeans that fit you perfectly, and they will be your best friend. Everyone needs a pair of comfortable, warm, yet stylishly chic boots for fall (black or brown). The boots at Plum Bottom at the Shoppes of Susquehanna Marketplace have a lot of classic and trendy boots for fall, and you can really walk in them without having your feet hurt. Contrary to what you may think, turtlenecks are very stylish and a great versatile layer piece. Not only can you dress up or down a turtleneck, you can wear with jeans, a pencil skirt, and work pants. 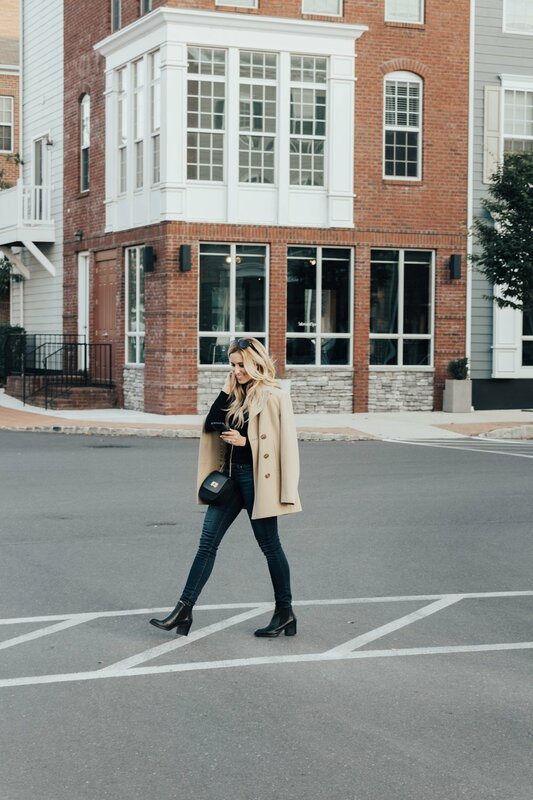 Having a few neutral turtlenecks (or sweaters)—gray, black, and tan—in your closet will always serve you well.